With contributions from Robert L of King Motors. 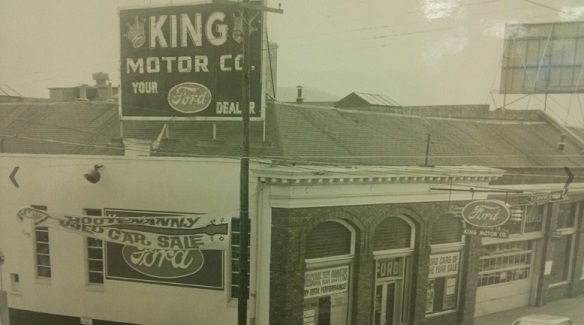 The King Motor Company was started in 1922. Over the years, it has had several locations. 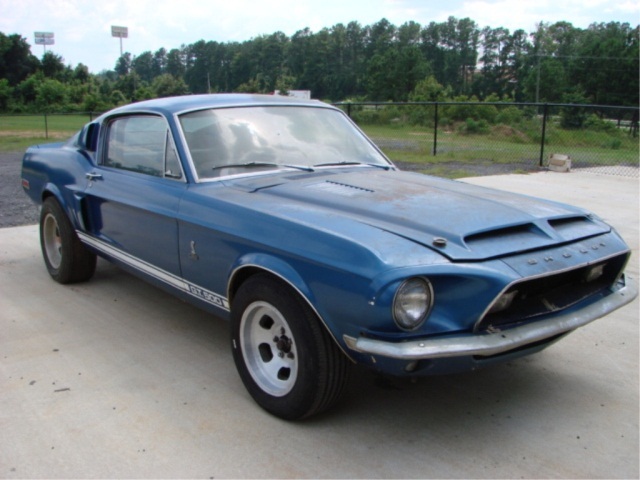 The Shelby dealership was located at 110 East 11th Street, Anniston, Alabama. 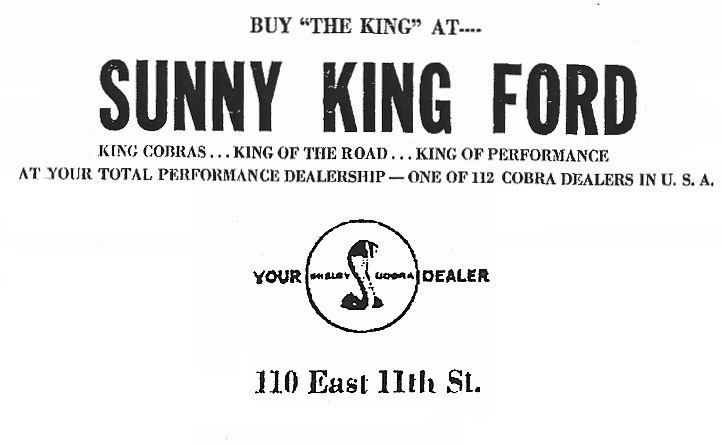 Sunny King started selling Shelbys in 1968. They sold 36 cars the first year. 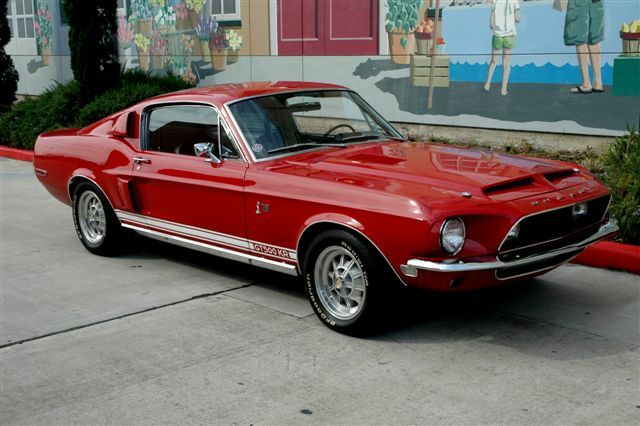 Shelby # 1285 was an early GT500 sent to King. 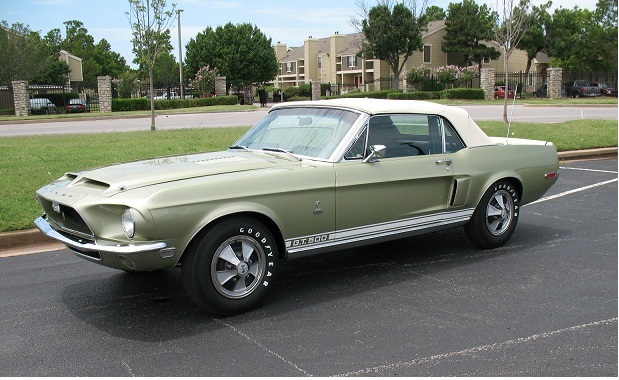 It is one of fourteen 1968 GT500s sold by the dealership. 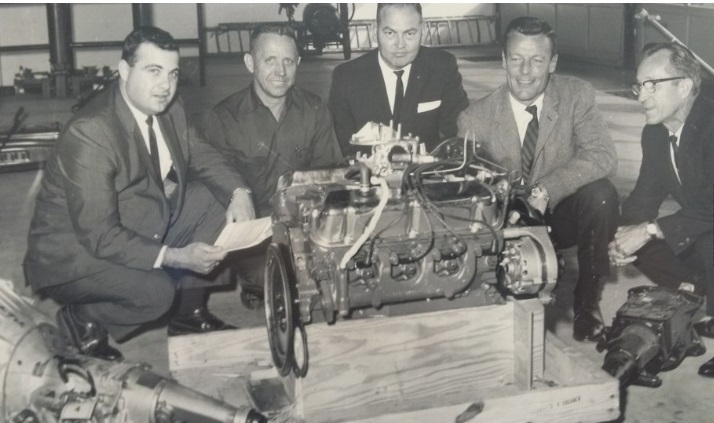 A new engine arrives King Motors. Serial Number 1526 is one the Elite cars in the country, having won three nation championship Gold Awards. It was once the personal demonstrator of Mr. King and later spent time in Hawaii. # 2040 was an early feature car on the website. It was onced owned by Oliver North. # 4447 is one of the last Shelbys built in 1968. 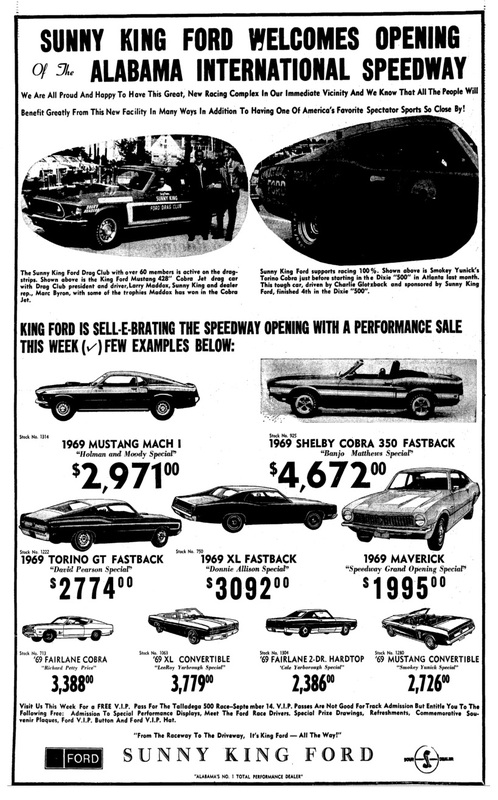 The car wasn't shipped to King until November of 1969! Donnie Allison was a NASCAR race car driver that was sponsored by King Motors. Talladega Raceway is a short distance from the dealership. 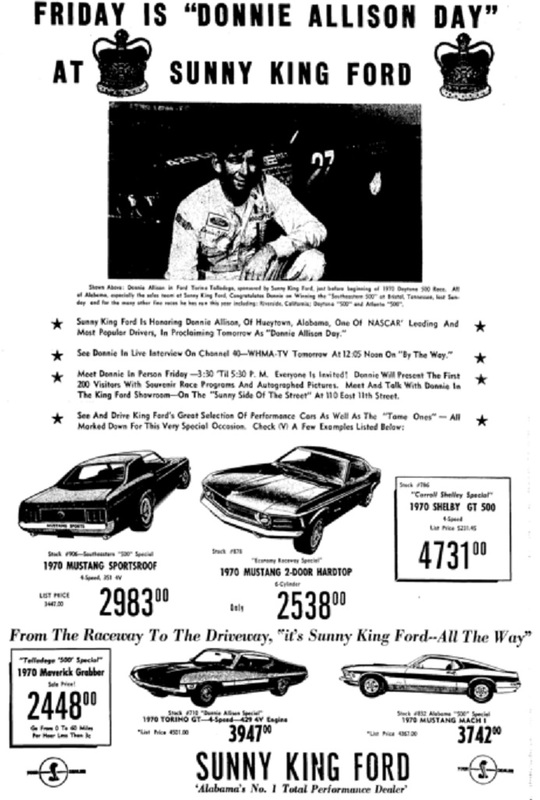 Smokey Yunick and Larry Maddox also were sponsored by the dealership. 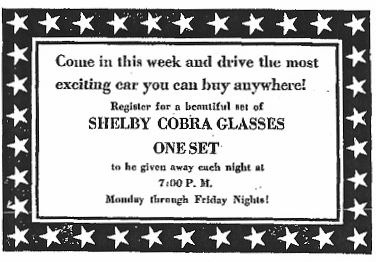 This advertisement was in the September 1969 Anniston Star. 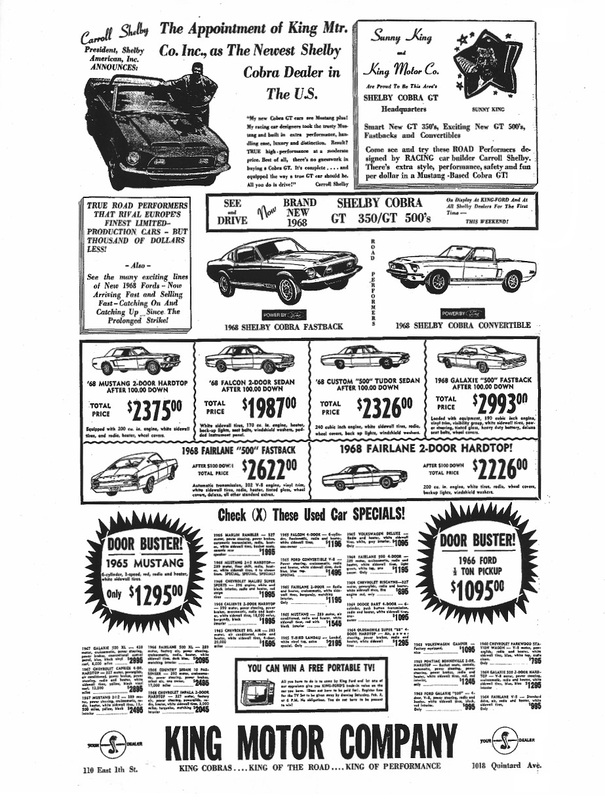 The 1969 Shelby is advertised as a "Banjo Matthews Special". I am not sure what that included. This is a pretty neat plate from the dealership. 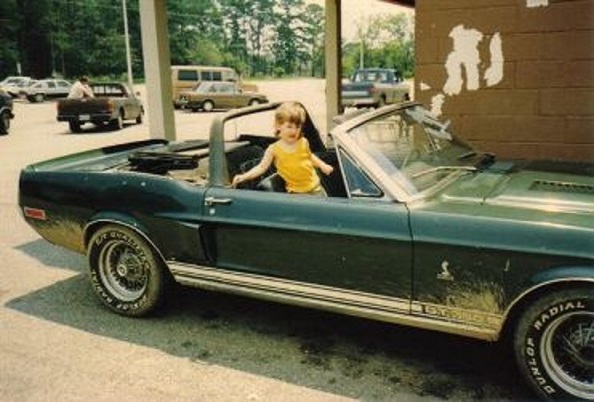 By November of 1969, the 1970 Shelbys had appeared. It is rare to see an advertisement for one. King would only sell 10 more Shelbys before the plant shut-down. 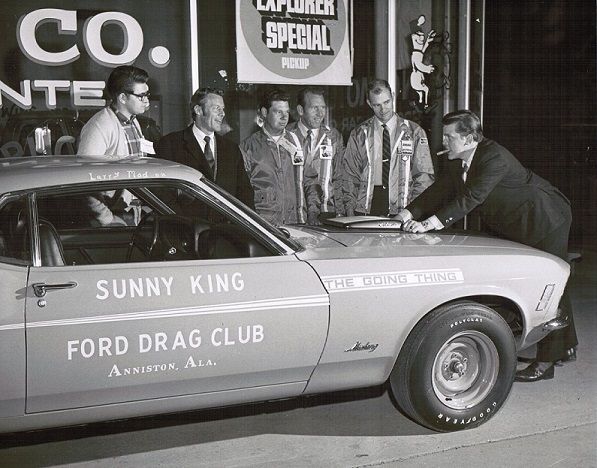 Jack shared this vintage photo of his 1970 Cobra Jet Mustang that was sponsored by Sunny King Ford. Mr. King is second from the left in this photograph. I am not sure if it is the same car as the one in the advertisement above. 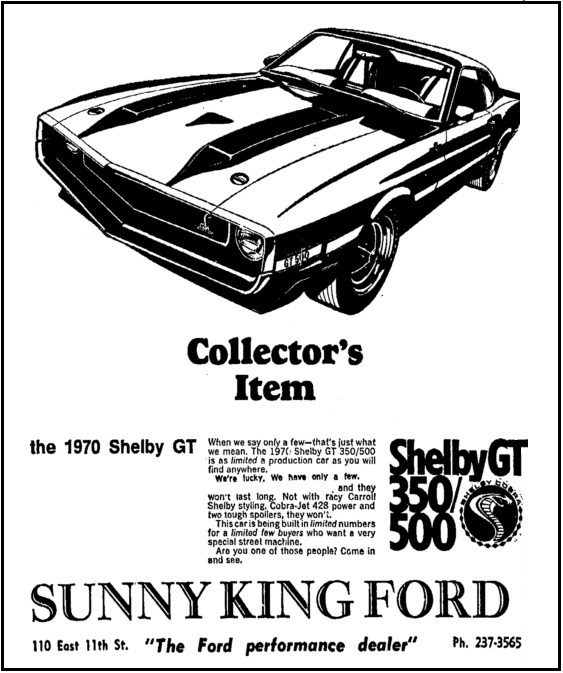 Sunny King Ford still sells Mustangs and Shelbys today! 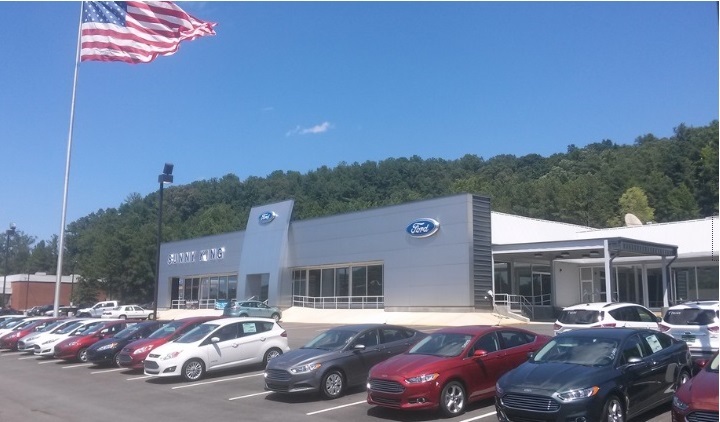 They are located at 1507 South Quintard Avenue. If you are in Anniston, stop by for a visit.